Fortnite Season 7 Week 9 was supposed to go live on January 31 for PC< Xbox One and PS4, but somehow the challenges for Week 9 have been leaked online. Now the fortnite players will take full advantage of the leaked resources. Here is what all you can expect from Week9 Challenges. The Week 8 of Season 7 challenges included tasks from building structures to searching for a Battle Star, but the leaks for week 9 promises something more interesting. The Week 9 Leaks have been shared Fortnite leaking source FNBRHQ, the same source that leaked most of the upcoming skins and cosmetics found in Fortnite’s v7.30 patch files. Note: Currently, the challenges are not split between Free Pass and Battle Pass tasks. So there are chances to be changed. 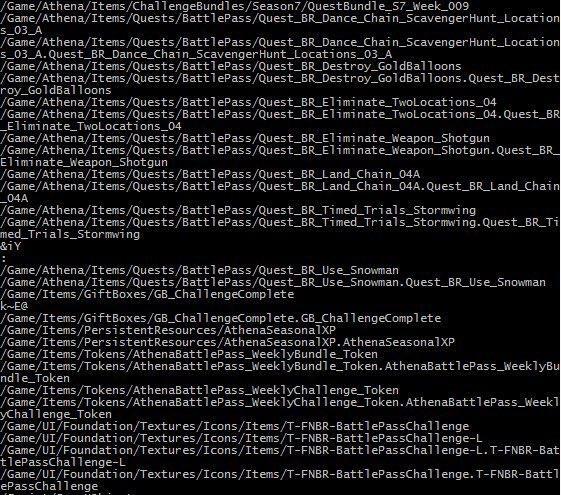 FNBRHQ shared another leak on Twitter which shows that challenges involve ‘Gold Balloons’. Check the leaked image below. The Week 9 challenges are expected to go live on Thursday, January 31. Till then do check our other guides for Fortnite Leaks, Tricks and Tips.